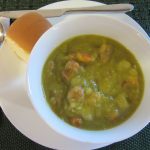 Sparky hated Split Pea Soup and absolutely refused to even try it based on some long ago childhood trauma, I reckon. Ha! 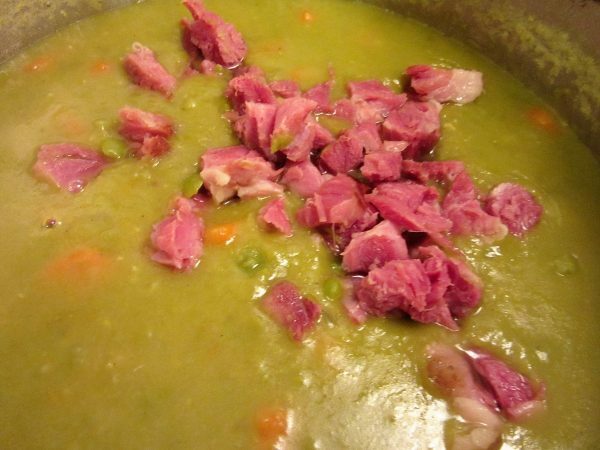 But Split Pea Soup with Smoked Ham has been a specialty of mine sine 1975 when I made it for Grandpa Stanley. He loved it and I figured if I could just get Dan to TRY it. Well…try it he did and I have gained yet again, another aficionado. Score! Yes, it is easy. Yes, it is delicious, filling and inexpensive. All winners in my world. 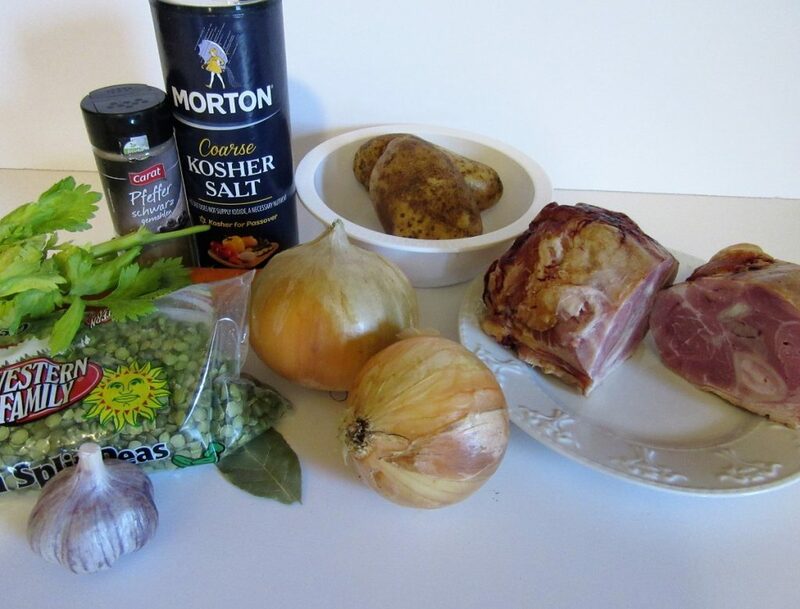 So get the kettle out and lets build us some Split Green Pea Soup with Smoked Ham. Succulent, thick, smokey. Full of carrots and potatoes,flavored with smoked ham, onions, garlic and bay leaf. This is going to be so soul satisfying. You'll be pushing back from the table after dinner and just sighing. So good! 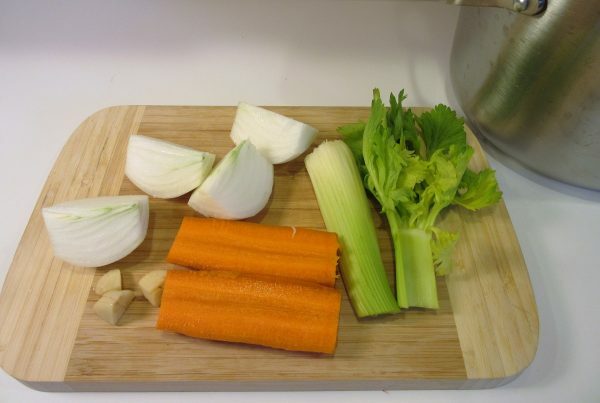 Bring this to a boil, then lower the heat and simmer for 45 minutes. 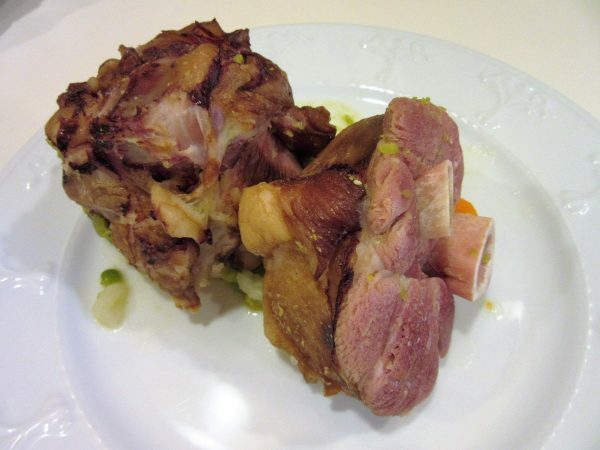 Remove the Ham Shanks and then strain the broth discarding the vegetables. 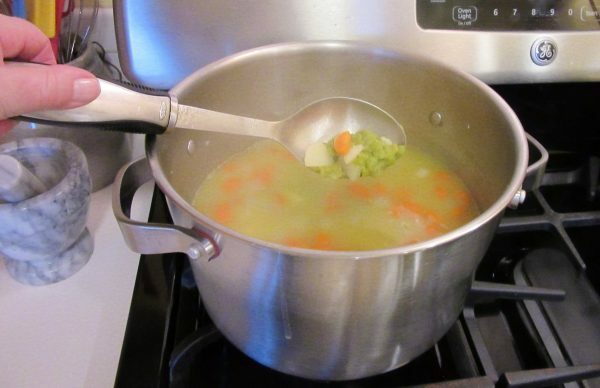 Return the Ham Shanks and the strained broth to your soup Kettle. 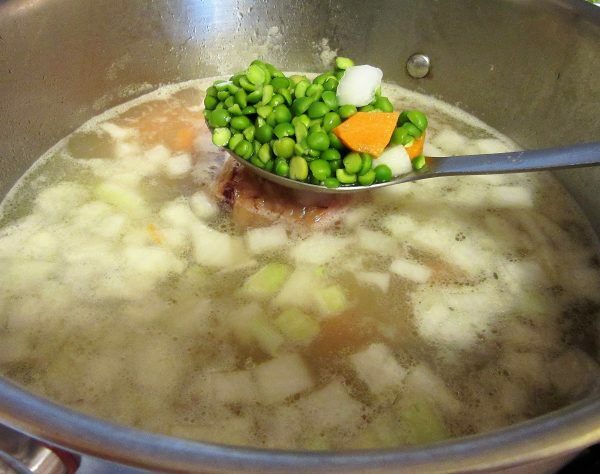 Add the dry Green Split Peas, the diced Onion, the chopped Carrot and the Potatoes to the soup Kettle along with the Salt and Pepper. 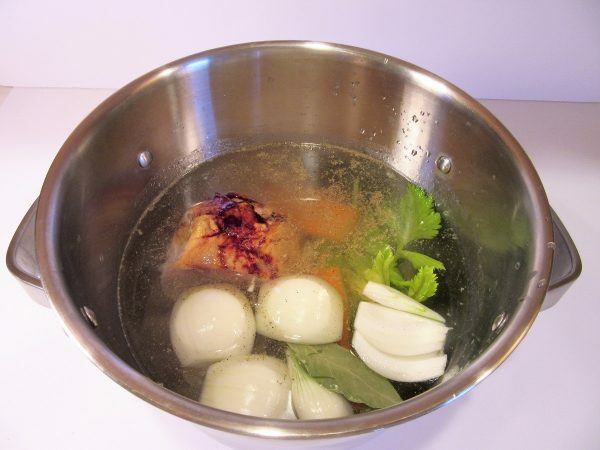 Bring this to a boil, reduce heat and let 'er simmer away for another 45 minutes. Stir occasionally to keep the Peas from sticking. Turn the soup off and remove the Smoked Ham Shanks from the Soup and let cool for a minute. Then remove the meat from the bones. Discard the bones and chop the ham. Return the chopped Ham to the soup Kettle and stir it in. That's it! Serve hot with rolls and butter or Corn Bread or just with some good crackers. We have created one wonderful Kettle of soup! Thanks for stopping by today my friends. Wherever your Journey takes you today, I wish you the joy and satisfaction of sharing a warm meal with family and good friends on a cold Autumn evening. Follow me at: www.thejourneygirl.com Be sure and leave me a comment. Your message make my day!